Her instructions are of a universal type meant for all men, yet their real import is not always comprehended by people like us. Still, when some of her words illumine the mind of a particular person, what he realizes by his own limited knowledge finds expression in his life according to his own capacity to move forward. It is not easy to imagine how infinitely various are the streams of water flowing from the Himalayas to plains of India through glaciers, cataracts, rivers, streamlets and springs, enriching and fertilising many sterile tracts. Although the Himalayas do not lose anything by sending out these perpetual streams, the welfare of the world is being secured by them. 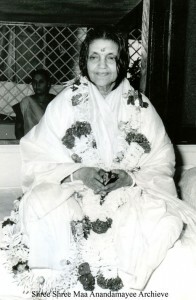 It is similar in the case of Mother and her devotees. 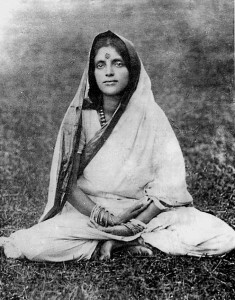 Mother says “With earnestness, love and goodwill carry out life’s everyday duties and try to elevate yourself step by step. In all human activities let there be a live contact with the Divine and you will not have to leave off anything. Your work will then be done well and you will be on the right track to find the Master. Whatever work you have to do, do it with a singleness of purpose, with all the simplicity, contentment and joy you are capable of. 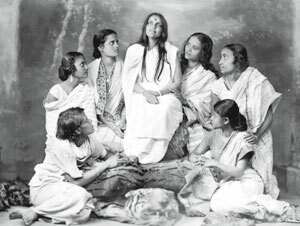 Mother says: “Just as there is a definite time-table for work at school, office or the shop, so should we set apart for divine contemplation a few minutes out of the twenty-four hours of every day, preferably in the morning and evening. One must make a fixed resolve that this little time shall be dedicated to God throughout life. During this period no worldly activity should be allowed to encroach upon the contemplation of God. A fixed time for prayer or meditation must be allotted to all the members of the family including the servants. If this practice is continued for long, divine contemplation will become a part of your nature. Once the habit is established, the future course of your life will be made quite easy. You will feel the flow of the mysterious Divine Grace feeding all your thoughts and giving you new strength. You get a pension or bonus after years of hard work, so that you need no longer earn your livelihood. In the spiritual realm the reward for good, sincere and selfless work is even far greater and can be obtained more easily. but the divine pension continues long, long after death. Those who amass money, store it up in a hidden chamber of their house, add to this store what they can save from time to time, and keep a constant watch over their treasure. So also reserve a little corner of your mind and heart for God and always steal an opportunity to add to your stock in the shape of the invocation of His name or some pious work or divine thought.